PintJockeys Guide to Brewmaster’s International Beer Festival : A few more tips for the road! Before you head out to Brewmaster’s International Beer Festival, we wanted to pass along a few more tips. STELLA ARTOIS – 5.2% ABV – This delicious Belgian brew dates back to 1366, originally brewed in the city of Leuven as a special holiday beer christened “Stella,” Latin for “star.” Over the years, the lager has been perfected and is brewed with only the finest, natural ingredients, including water, barley malt, hops, non-malted grains and its own unique yeast strain – a secret that has been kept throughout the years. The results are a pleasantly bitter flavor with a refreshing finish. With so many years of practice, it’s easy to see how this brew fits among our list of tried and true favorites. HOEGAARDEN – 5.0% ABV- Self-proclaimed as “The Original Belgian White Beer”, this wheat beer has a distinctive hazy, yellow color and a thick frothy head. The aroma is almost spicy, with coriander and orange. And the taste? Perfectly sweet, with slight citrus sourness. LEFFE – 6.6% ABV – This Belgian Blonde Ale is a rich, golden Abbey Ale with spicy aromas of clove and vanilla, smoky caramel and roasted notes. The taste is sweet and silky, slightly drying with a well-balanced bitterness. This sweet maltiness coupled with a rolling sweetness throughout throws out honey-like qualities. Leaf herbal hop bitterness settles back into an underlying flavor and the brew finishes sweet with a long, lingering herbal flavor. BASS – 5.1% ABV – First brewed in 1777 and exported to the USA in 1790, this classic English-Style Pale Ale has beautiful chestnut coloring with aromas of nuts, caramel, dried fruits and raisins. The taste is slightly sweet and trace drying, with anice balanced English hop finish. BECK’S – 5.0% ABV – This German-Style Pilsner is a golden-colored beer with wonderful floral and fruity European Noble hop aromas. The distinctive full-bodied taste is sweet and soft balanced with a clean, crisp, dry hop finish. BECK’S OKTOBERFEST – 5.2% ABV – Also from Beck’s comes this German Style Maerzen! Oktoberfest is a rich amber color with aromas of caramel, coffee and chocolate. Its taste is full, slightly sweet, with notes of caramel and roasted malts. The finish is slightly drying with a crisp hop finish. SHOCK TOP – 5.2% ABV – This spiced Belgian-style Wit is an unfiltered Belgian-Style wheat ale, brewed with real orange, lemon and lime peels, paired with coriander spice to produce a crisp and distinctive taste. Naturally cloudy, it has a light golden color and a smooth, refreshing finish. SHOCK TOP RASPBERRY – 5.2% ABV – Another favorite from Shock Top is Shock Top Raspberry, an unfiltered Belgian-Style heat ale, brewed with wild raspberry essence and hand-selected hops. The results are a light golden color and a smooth, refreshing finish. SHOCK TOP PUMPKIN –5.2% ABV – Finally, if you’re looking for a little spicier take on your Belgian-style Wit, try this unfiltered Belgian-Style wheat ale, brewed with ripe pumpkins and a variety of autumnal spices, including nutmeg, cinnamon and cloves, capturing all the flavors of fall. ROLLING ROCK – 4.5% ABV – This American-style Premium Lager is a light-bodied lager with a rich malt character that lends to its distinctive taste and subtle hop character. ZIEGENBOCK –4.4% ABV- This American-style Amber Lager has a beautiful dark amber color with notes of roasted grains in the aroma and a sweet smooth taste with a balanced hop finish. LAND SHARK LAGER ­- 4.7% ABV- A refreshing, drinkable island style lager brewed with a complex blend of hop varieties giving the beer a distinctive hop note taste. Well, we think that should do it! Time to shut down your computer and head over to Moody Gardens for what’s sure to be a great event! We look forward to hearing your take on all the brews. Please feel free to use the comment section below to share your favorites. Have a wonderful, safe Labor Day weekend! See you next week! Move over Foodie Friday! In lieu of tomorrow’s big event, we’re replacing our weekly beer pairing with more on the beers of Brewmaster’s. Don’t worry foodies, we’ll be back with more tasty recipes next week! As for today, our fourth installment of our Guide to the Brewmaster’s International Beer Festival will take a closer look at the refreshing Woodchuck Draft Ciders, a treat enjoyed by both fans of craft beer and wine, and the award-winning brews from Craft Brewers Alliance, Inc.
Woodchuck Draft Cider, America’s top-selling premium draft cider is reminiscent of authentic early American hard ciders and provides a refreshing accompaniment for any fun get together. Award-winning Woodchuck is naturally gluten free and handmade in small batches at the Woodchuck cidery nestled within the Green Mountains of Vermont.. Just one taste and it’s clear that every batch is crafted with a longstanding tradition and made by people who care about purity, taste and authenticity. Make sure to try one or more of the following drafts available at the festival! Woodchuck Draft Cider – AMBER 5% Alc/Vol. Amber was the first style of cider produced under the Woodchuck label. It is made from a blend of apples and fermented with champagne yeast to produce a great tasting and refreshing product. Amber has a light golden hue, medium sweetness with a crisp sparkling finish. Woodchuck Draft Cider – GRANNY SMITH – 5% Alc/Vol. Made from 100% Granny Smith apples. It has mouth watering flavor that is tangy and tart with just a touch of sweetness, yet it retains a freshly cut green apple flavor. This dry cider is best for people who like champagne and other dry drinks and has that Granny Smith pucker apple taste to it. Woodchuck Draft Cider – PRIVATE RESERVE PUMPKIN – This reserve is fresh and crisp with pumpkin at the finish and crafted for the rich flavors to show through. It’s rich amber in color and has candied apple, banana Starburst and piña colada lifesaver aromas with a supple fruit sweet light-to-medium body and a fleeting apple-cheery soda finish. Woodchuck Draft Cider – FALL SEASONAL – The perfect combination of complexity and elegance, giving the cider a unique taste and special aroma not found in any other cider. Attractive cinnamon, nutmeg, spicy bouquet and balances out the taste with a hint of American white oak. Now that you’ve satisfied your sweet tooth and cleansed your palate, it’s back to some of the finest craft brew in the county. Craft Brewers Alliance, Inc (CBAI), headquartered in Portland,Oregon is known for their diverse high quality portfolio of including beers from The Redhook Ale Brewery from Washington and New Hampshire, Widmer Brothers Brewing Company from Oregon and Kona Brewing Company from Hawaii. While most of CBAI’s beers are distributed regionally, a few of their more prominent beers can be found nationally. NELSON IMPERIAL ALE – 8.6% ABV – New Zealand’s legendary Nelson Sauvin hop gives us a powerful hoppy character but none of the heaviness you sometimes find in Imperial IPA’s. The result is a big brew with a sweet, malty character that perfectly balances the intense hop aroma and flavor. WIDMER HEFEWEIZEN – 4.9% ABV – America’s Original Hefeweizen, this is a golden unfiltered wheat beer that is truly cloudy and clearly superb. Ever since Widmer introduced Hefeweizen to America in 1986, this has been the standard by which all other Hefeweizens are judged. Awards include the 1998 and 2006 GABF Gold Medal Award Winner, and the 2004 and 2008 Gold Medal Beer Cup. REDHOOK ESB ORIGINAL ALE – 5.8% ABV – Redhook ESB is modeled after the premium Extra Special Bitters found in English pubs. Brewed since 1987, this full-bodied amber ale is Redhook’s signature brew with its toasted malt flavor and pleasant finishing sweetness. Its eminently drinkable style has established Redhook ESB as a bench mark brew in the amber ale category. KONA LONGBOARD – 4.8% ABV – Longboard Lager is a crisp, pale gold lager made with a few choice malts and aromatic hops brewed in a traditional lager style. Like the last wave of the day at your favorite surf break, Longboard is a smooth and easy-going brew that you can enjoy time and time again. And that does it for today’s highlight of brews from Woodchuck Draft Cider and Craft Brewers Alliance, Inc. Visit our blog tomorrow before you head to the festival for a few final tips on what you’ll find at Brewmaster’s International Beer Festival! We hope to see pictures of you enjoying these brews on our Facebook page at http://www.facebook.com/PintJockeys! The Countdown Continues! More on Brewmaster’s International Beer Festival! Welcome to day 3 of our Guide to Brewmaster’s International Beer Festival! Today we’ll continue on through the California Desert Valley, curb around the bend back to Colorado and continue on back down to Southeast Texas to highlight more of the freshly micro-brewed beers you’ll find at the Brewmaster’s International Beer Festival. Let’s get started with California’s Indian Wells Brewing Company. Committed to a socially responsible lifestyle, this brewer uses all natural ingredients, including the freshest organic hops, barley, yeast and fruit from local growers in Southern California. Indian Wells Brewing Company’s line of micro brewed beers feature pure artesian spring water from the historic Indian Wells Spring – the same artesian spring that saved the 1849 gold rush party lost in Death Valley. Sample one of these fresh micro brews for yourself at the Brewmaster’s International Beer Festival this weekend. LOBOTOMY BOCK – This is a classic German Dopple bock and is made in strict accordance to the German Reinheitsgebot Purity Law of Brewing, which is water, malt, hops and yeast only! It is made from five types of specialty malted barley, including Munich, black patent and other premium malts. Finished with Sterling and Perle hops for the perfect flavor balance. AMNESIA IPA –7/2% ABV – Brewed with large amounts of hops acting as a natural preservative in transit from the British Isles to India, this IPA’s taste is distinct but not overwhelmed with bitterness. Take it in and enjoy the brilliant subtlety of the complex hops, aromas and flavors. SILVER SUN –Golden/light amber in color, Silver Sun smells crisp and malty with hints of sweetness. Balanced hop and malt taste with a slight bitter finish. DEATH VALLEY PALE ALE – This classic pale ale is made with lots of 2-row malt and hopped with clean Cascade hops from Yakima Valley. Next up, New Belgium Brewing Company, the makers of Fat Amber Ale and other Belgian-inspired beers, began operations in a tiny Fort Collins basement in 1991. Today as the third largest craft brewer in theU.S., New Belgium produces seven year-round beers, as well as a host of seasonal releases. FAT TIRE AMBER ALE – 5.3% ABV – This Amber Ale balances toasty malt flavors with crisp hopiness. It starts with a malt scent with mild c aramel malt and dark fruits and finishes with a soft bitterness. RANGER INDIA PALE ALE –6.5% ABV – New Belgium’s foray into the true American India Pale Ale. This clear amber beauty bursts at the start with an abundance of hops: Cascade, Chinook, and Simcoe, with Cascade added again for an intense dry hop flavor. Ranger is brewed with pale and dark caramel malts that harmonize the hop flavor from start to finish. HOPTOBER GOLDEN ALE – 6.0% ABV – Five hops and four malts make Hoptober Golden Ale a veritable cornucopia of the earth. Pale and wheat malt are mashed with rye and oats to create medium bodied ale with a creamy mouth feel. Centennial, Cascade,Sterling,Willamette and Glacier hops form a bonfire of citrus notes, fruity cheers and a bold finale. SUPER CRU – 10% ABV – Roll a bunch of New Belgium together and put it in a bottle. Start with the backbone of Fat Tire, but double the malt and hops; add in crisp Asian Pears, a very Belgian thing to do; and bring it to life with a Saison yeast. Today, we’ll close with yet another brewer from the Lone Star State. Cornel’s, a Southeast Texas brewery in Beaumont, is a newbie to the brewery scene but you could never tell from the richness and full-bodied flavors of these brews. Check out the following new beers this weekend and let us know what you think! MAELSTROM – 6% ABV – Sort of a Mild Stout/Schwartzbier. Inspired by a Brazilian Black lager and a Crème Brûlée, it has a dark black color and medium body with a very slight hint of vanilla. Nice mocha foamy head, with a flavor that starts as bitter coffee and chocolate that blends into a slightly sweeter, almost slick finish. SMOKIN’ HOT BLONDE – 5.5% ABV – Simple, 2 Row base with 20% Smoked Grain. Hallertau and Willamette hops, also fermented with Chico and aged for 5-6 days in secondary on roasted Poblano peppers. Not a lot of heat, but a great roasted flavor on the backside. Medium light body, dark straw-colored. Well, that’s it for now. There’s still two more days until the big event, so be sure to check back tomorrow for another round-up of our favorites! Check out our favorite West Coast ales at Brewmaster’s International Festival! Yesterday we highlighted a few top-notch Texas breweries, and today we’re heading west to check out what California has to offer! SIERRA NEVADA TORPEDO – 7.2% ABV – Sierra Nevada Torpedo ale is a big American IPA; bold, assertive and full of flavor and aromas highlighting the complex citrus, pine and herbal character of whole-cone American hops. SIERRA NEVADA PALE ALE – 5.6% ABV – One of the more popular options, Sierra Nevada Pale Ale is a delightful interpretation of a classic style. It has a deep amber color and an exceptionally full-bodied, complex character. Generous quantities of premium Cascade hops give the Pale Ale its fragrant bouquet and spicy flavor. SIERRA NEVADA SOUTHERN HEMISPHERE HARVEST -6.7% ABV- Fresh New Zealand hops are key. Taste the toasty caramel-like malts, fresh hop flavor of peppery spice, and lemon with a hint of rose-like aromas. SIERRA NEVADA TUMBLER – 5.5% ABV-This beer features fresh-roasted malt used straight from the kiln to give it a gracefully smooth malt character perfect for an autumn afternoon. Next stop, Sonoma, California for a taste of BEAR REPUBLIC’S hand-crafted brews. Made from carefully selected, premium ingredients, this brand is a “can’t miss” at the festival! HOP ROD RYE –7.5% ABV – A strong American IPA made with 20% rye malt. Darker in color, Hop Rod Rye boasts a huge hop aroma and flavor accompanied by a slightly sweet, malty finish. RACER 5 IPA –7.0% ABV -This hoppy American IPA is a full bodied beer brewed with American grains.Columbus and Cascade hops add a unique floral quality. Also hopped with Chinook and Centennial. PETER BROWN TRIBUTE ALE -6.5% ABV- Dark brown in color, this is our rendition of a Strong American Brown Ale, paying homage to subtle flavors of golden brown sugars and sweet molasses. Finally, join the beer revolution with ROGUE The spirit of the Rogue bran d, even the name, suggests doing things differently, a desire and a willingness to change the status quo. A Rogue Ale, Porter, Stout, Lager or Spirit is crafted to give it unique character, innovative in its makeup and brewing, a process that has not compromised quality. This brewery believes if a Rogue Ale, Porter, Stout, Lager or Spirit cannot be all of these things; it should not be made at all. With flavors inspired by everything from peanut brittle to chipotle peppers, Rogue is definitely worth checking out! DOUBLE DEAD GUY ALE – Deep amber copper color. Buttery peanut brittle, orange blossom tea aromas follow through to a rich chewy and fruity full body with nice notes of caramel drizzled dried apricot and roasted grains and spice. Finishes with a long, tangy grilled grapefruit and chocolate fade. Starting to feel overwhelmed with choices? Luckily for you, it’s a four day festival. Check back tomorrow for a closer look at Fat Tire, Indian Wells and Cornell Brewing! Our Guide to Brewmaster’s International Festival at Moody Gardens! Who’s heading to Galveston’s Moody Gardens for the Brewmaster’s International Festival this weekend? Want to know what to expect when you get there? Check back daily as we’ll share information on our favorite brands and brews that you can expect to see at the event! Today, we’ll kick things off by introducing you to a few of our Texas breweries –Southern Star, Saint Arnold and Rahr & Sons. Straight out of their 10,000 square foot warehouse in Conroe, Texa s, Southern Star Brewing Company will be on site offering a taste of their delicious canned craft beer selection. The brewery, which started production in March of 2008 with their signature beer, Pine Belt Pale Ale has since expanded their offerings to include Bombshell Blonde, Buried Hatchet Stout, and summer seasonal Walloon. Here’s a brief description of each beer, courtesy of Southern Star’s Web site. Bombshell Blonde – American Blonde Ale – 5.25% ABV – 20 IBU – Rich, creamy golden-colored ale fermented at a cool temperature to give a clean finish. Hints of yeasty bread and a touch of hops combine to make a beer that is truly more than the sum of its parts. Pine Belt – American Pale Ale – 6.3% ABV – 45 IBU – Deep copper-colored ale with a substantial malt backbone accented with British crystal malts with aggressive hop bitterness and substantial American hop flavor and aroma. The yeast profile is neutral. Buried Hatchet – Strong American Stout – 8.25% ABV – 50 IBU – Jet-black in color, this monster smells of coffee and chocolate. The taste is much of the same, with hints of creamy toffee and roasted malt. Smooth and delici ous, this medium bodied ale is all about the malts, but has enough hop bitterness to be balanced. If you’re one of the few craft beer lovers who hasn’t already tried Sai nt Arnold’s you’re in for a treat. This year, the Houston area brewery will be on site with a selection of brands including Oktoberfest and Weedwacker. While we love all of the brewery’s offerings, we’d like to give a special shout out to Elissa IPA – an Indian Pale Ale with a cause close to our hearts! Proceeds from this brew go toward preserving Galveston’s historic tall ship by the same name. Here’s some more information on the beers Saint Arnold’s will have available. Saint Arnold Divine Reserve 11 – 8.9% ABV – The first filtered Divine eserve, the color is deep amber with a light, creamy head. The nose starts off with a touch of citrus but then turns decidedly into peaches. The taste starts off with creamy malt resulting from the pale 2 row and caramel malts and Saint Arnold yeast. The hop bitter starts low then builds to a crescendo, but always maintains a balance even in its big finish. Saint Arnold Weedwacker – 4.9% ABV – Essentially a Bavarian hefeweizen, but it’s not. It’s Lawnmower but fermented with Bavarian hefeweizen yeast instead of kölsch yeast. Unfiltered, it is light and refreshing but has a spicy clove note and some banana esters that come from the different yeast. Saint Arnold Elissa IPA – 6.6% ABV – A traditional India Pale Ale, the Elissa IPA is very hoppy with a properly balanced malty body. Elissa has huge hop additions in the kettle that give it a wonderful bitterness and is then dry-hopped in the fermenter to create the pleasant floral, hoppy nose. Saint Arnold Oktoberfest – 6.0% ABV – A full bodied, malty, slightly sweet beer celebrating the Autumn harvest. this rich beer has a round malt flavor and an above average alcohol content perfect for a cool fall evening. Last but certainly not least is Rahr & Sons Brewing from Fort Worth . This family brewery may have opened its doors in 2004, but the Rahr’s have been making beer in America since 1847 and the experience shows! While all of the brands are a treat, we recommend trying Ugly Pug and see what earned the brew a shout out from the Wall Street Journal! Stormcloud IPA –6.0% ABV – A German-Style IPA – a traditional India Pale Ale with a German Influence. 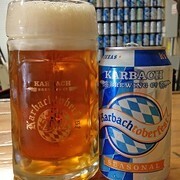 Rahr’s Blond – 4.8% ABV – A medium-bodied traditional Munich Helles-style pale lager that features a rounded maltiness without being too heavy. And like every proudTexas, it has a good head, is pleasant – but not overly sweet. Ulgly Pug Black Lager – 4.5% ABV – This schwarzbier, or black lager, has a surprisingly light body with hints of coffee and chocolate making it easy to drink on even the hottest Texas summer days. La Grange Farmhouse Ale – 7.25 ABV – With an apricot-colored body, the aroma is oflight citrus and peppery spices. The taste starts offfruity and finishes off refreshingly dry. Which of these beers are you most looking forward to? Check back tomorrow for more!